There’s been a lot of talk recently about the “Paleo Diet” with strong words being thrown in every direction without a lot of honest discussion. Pete Evans has gone a long way in trying to raise discussion and awareness of what we are doing to our bodies with what we are eating. In doing so, there has been less and less discussion on the scientific facts and more and more personal attacks being thrown. Many of these have been around the concept of Pete not being educated in nutrition so he shouldn’t be listened to. But the facts remain that Pete didn’t actually develop the diet, he’s just raising awareness of it. Many educated practitioners in health care have spoken about the need for the body to use fat as its primary energy source, not carbohydrate. When we rely on carbohydrate as our primary energy source, we tend to become pro-inflammatory. The most important effect of this is seen within our neurology! No two people are the same. We all have our own unique combination of environmental and genetic influences that tweak our system. The one thing we know is that inflammation is the biggest cause of degeneration and ageing. In the brain we have cells known as microglial cells. These cells are our brain’s immune system. They create inflammation when excited. It’s suggested we have as many as 10 microglial cells for every nerve cell so when they get excited it creates a lot of problems. When this immune system starts attacking our nervous system it’s known as neuroautoimmnunity and can really affect any part of the nervous system. According to Datis Kharrazian, some basic symptoms of neurological inflammation include: brain fog, unclear thoughts, slow and varied mental speeds, low brain endurance and brain (mental) fatigue. Symptoms of neuroautoimmunity can include: weakness, dizziness and burning sensations of the hands and feet. Grains and Gluten – Like dairy, we have only really been eating grains in the last 10,000-15,000 years. However, over the last century many of our grains have been modified to encourage growth altering their structure. One of the big issues with this has been changes to a protein found in some grains called gluten. Gluten has now been shown to be a trigger for autoimmunity in many people. Its consumption has been linked with various health conditions such as hashimoto’s hypothyroidism, neurological plaques seen in multiple sclerosis, insulin dysfunction and diabetes, anxiety, gluten ataxia and movement disorders such as facial ticks, not just celiac disease. In addition, grains are a rich source of carbohydrate. As we consume them they drive our levels of insulin limiting our ability to metabolize fat further increasing inflammation. Grains have also become the most substantial part of our diet being quick and easy to prepare and inexpensive, generally. Cereals, breads, pasta, pizza and rice make up the vast majority of most people’s diet. Dairy – Whilst there are many components to dairy that are very beneficial, the two components that create most of the negative association are the protein casein and the ‘milk sugar’ lactose. Casein has a relatively similar structure to gluten and as a result, those whom consume a high amount of casein can also develop similar autoimmune sensitivities to Gluten. The other big concern is lactose. Many people are lactose intolerant with digestive disturbances every time they consume it. However, many other people are sensitive to lactose. There is some controversy as to why this is but most of the blame is being put to the pasteurization process altering the lactose. It seems to be those who have a sensitivity to lactose who also have this higher level of inflammation. Whether or not the Paleo Diet is right for everyone is irrelevant, what is true is that systemic inflammation and neuroautoimmunity is bad and that these foods are amongst the most common triggers. The best way to work out whether it works for you is to simply trial it. But it’s an all in or nothing response. Removing these inflammatory foods from your diet, lowering your carbohydrate intake and seeing if you feel better only works if you totally remove them. This is because our immune system will still be excited by even small amounts of these substances. If, like most, after 6-8 weeks you’re feeling better, then you can try testing to see what your system does and doesn’t cope with by adding some things back. A simple reduction in systemic inflammation can make a big difference to your current and future health. How To Keep Your Head Clear In 2015 Gluten: Another Fad or the Real Deal? Fat: Not the Evil it’s Made Out To Be! Do You Know What You’re Eating? Can We Take Oxygen As A Supplement? 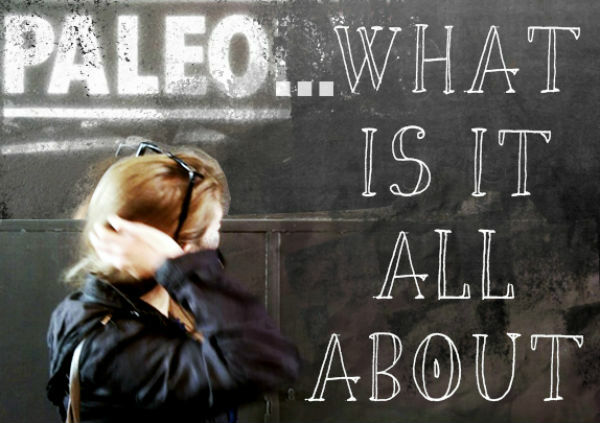 Health and Wellbeing > Has The Paleo Diet Got It Right?